Over 6,000 new customers in Broward and Palm Beach Counties choose us each year! OUR PLUMBERS FIX ANY PROBLEM OUR CUSTOMERS HAVE – THE FIRST TIME! Our customers know that no matter what their plumbing problem is, they can call us. With over 100 years of experience between our staff there’s nothing we can’t handle. We train OUR PLUMBERS and stock our ‘warehouses on wheels’ with over a thousand parts so they can fix over 98 percent of our service calls on the first trip out to your Broward or Palm beach County home! Our customers have busy lives. You work. You go to school. You can’t always be available during regular working hours because you work too. At the Plumbing Experts we understand this, which is why we are open Saturday and Sunday at no extra cost! WE WILL GET THERE FAST & KEEP YOUR HOUSE CLEAN! Our customers don’t want to sit around all day. They don’t want to hear that the plumber will be there between 9 a.m.-5 p.m. We give two-hour windows and can usually get out within an hour. We’re the largest plumbing service company in South Florida so we always have a technician in your neighborhood. 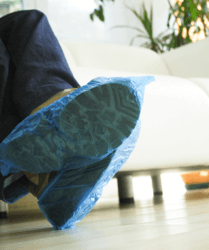 We also take extra precautions to keep your house clean like wearing shoe protectors and putting down special mats. We train our Plumbers to be careful of where they put their tools and parts to protect your finishes. WE ANSWER ALL PHONES LIVE!!! Our customers don’t want to press one for sales or press two for support. We don’t want to either. We understand how horrid it is to get stuck in menu after menu when you’re experiencing an emergency. That is why we have the best customer service representatives in the business and we always answer the phone live. YOU WILL BE HAPPY – WE OFFER A 100% SATISFACTION GUARANTEE! The reason we have so many customers – and they keep coming back – is that we take care of them. No matter what. We guarantee you our products will perform as we say they will and that you will be satisfied. If you aren’t, we’ll come back – on us – and make it right. We’re there when you need us. Dont’ forget we’re available on weekends at no extra cost. 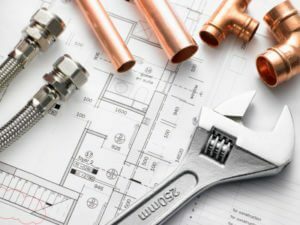 We are fully licensed contractors by the state of Florida and carry all the required insurances so you can feel assured that you are protected when you are working with the Plumbing Experts. We use flat rate pricing – not by the hour, which saves you money! We give you the price up front, before we start so you always know the cost of the repair. We won’t come back and “nickel and dime you” like many other south Florida contractors. WE AREN’T GOING ANYWHERE – PROUDLY SERVING SOUTH FLORIDA FOR OVER 35 YEARS! We been family owned and operated in south Florida for over 35 years. We aren’t a franchise and the management is always accessible. Have a problem? Call and ask for a manager or the owner. We take pride in our reputation in south Florida and always do the right thing for our customers. 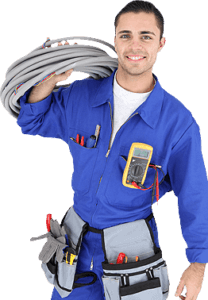 We reinvest a big portion of our profits back into our company and technicians. 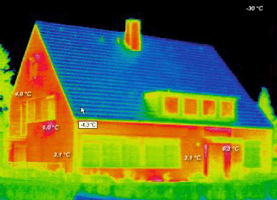 We buy the latest technology and tools such as thermal imaging cameras and advanced leak detection equipment. We train our technicians weekly on the latest techniques and safety rules so we can provide south Florida with the best technicians and solve their problem right, the first time saving them even more time and money! All of our employees are drug-tested and background-checked because we know that you care about who is being sent to your home. AND GET YOUR PROBLEM SOLVED TODAY!